New Home Program and New Condo Select were developed with you in mind. With the TitlePLUS department underwriting specific new home and residential condo developments in Ontario, it’s quick and easy for you to obtain title insurance policies for your purchaser and lender clients – while saving on disbursement costs for them. What are New Condo Select and New Home Program? When you are acting for purchasers buying specific newly constructed houses or condos from the developer, and you apply for TitlePLUS insurance through TitlePLUS New Condo Select or New Home Program, you do not prepare or send requisitions, send search letters or confirm occupancy. You can access New Home Program and New Condo Select if you are a TitlePLUS subscriber. The TitlePLUS department is always alert to the red flags of fraud. In 2017, the department declined $4 million in policy coverage for potentially fraudulent transactions. Over the last number of years, the rate of claims for the program has remained relatively flat. 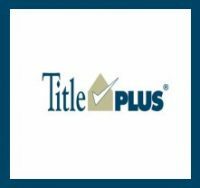 Proving excellent customer service, 421 TitlePLUS claims files were closed in 2017.